All land within the city limits is zoned and each zoning district has a unique set of allowed uses which are compatible with the other uses within the same district. In some cases, the adjacent property may be in a different zoning classification and your proposed use may negatively impact the neighboring property, in which case, further restrictions may apply. If the current zoning classification does not allow the proposed use then the property must be rezoned to a district which does allow the uses that the owner desires. Rezoning is not a given and must be approved by both the Planning and Zoning Commission and City Council after conducting public hearings. The property to be rezoned must be contiguous to the zoning district that is desired so that the district in question is being enlarged to accommodate the subject parcel or the property being rezoned must be of sufficient size as to be considered a district in and of itself and be in accordance with the Future Land Use Map of the Comprehensive Plan. Normally a single lot may not be zoned differently from those surrounding it as this is considered “spot zoning” which is a violation of state law. 1. Submittals for zoning change requests include a complete application, fees paid, concept plan or development plan, full legal description, planned development conditions, if applicable, tax certificate, and other pertinent exhibits as may be required.The filing deadline for initial submittals is in the first week of each month in order to be placed on that month’s agenda. 2. Final submission of revisions shall be due no later than five (5) business days prior to the scheduled meeting in order to remain on the Agenda. 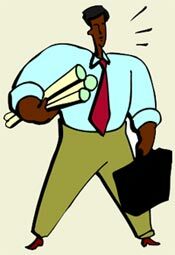 Final submittals shall consist of two (2) full size drawings and eleven (11) 11×17 drawings. Drawings may be submitted in 8½ x11 format upon approval by the Director if the drawings can be easily interpreted. 3. Zoning cases and other Public Hearings must be advertised a minimum of fifteen (15) days prior to the first scheduled public hearing. Both the Planning &Zoning Commission and City Council meetings are advertised together. The official newspaper of record is The Terrell Tribune, which is published Sunday through Friday; however, all notices are published in the Sunday addition in order to reach the greatest number of readers. Ordinances related to zoning changes approved by the City Council do not become effective until the Ordinance has had two formal readings at least seven (7) days apart in accordance with the City Charter, the text or the caption of the ordinance shall be published twice in the newspaper of record the first of which shall not be more than ten (10) days after the final adoption of the ordinance. Plats may not be filed on a tract of land unless the associated ordinances have become effective; likewise building permits cannot be issued on projects until the ordinance has become effective and/or plats have been filed and recorded at the County Clerk’s office. 4. 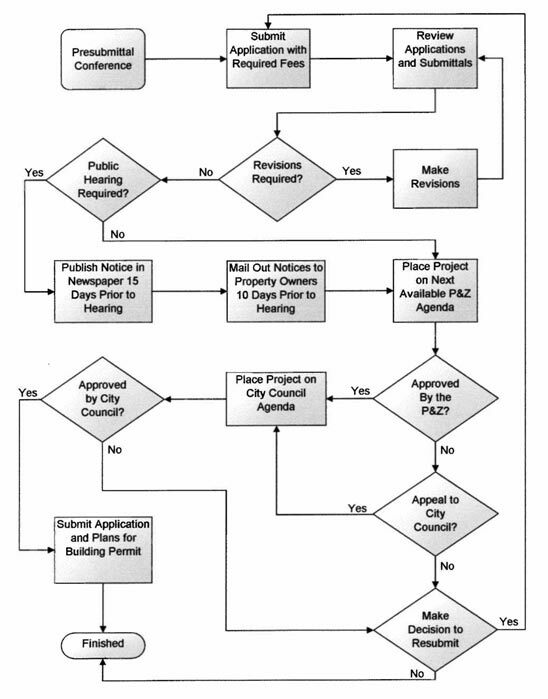 It typically takes sixty (60) days for a zoning change request to be approved (many factors may extend this time substantially) and approximately thirty (30) days are required to approve a construction plat (preliminary plat with site plan details) and an additional 30 days for final flat approval. Then approximately thirty (30) days are needed to obtain all of the required signatures on the Final Plat and file it with the County Clerk’s office. Construction drawings for permits require approximately ten (10) days for review by the building inspection division. They may be submitted early for review but a building permit will not be issued until the plat is filed.